A 28-year-old woman is currently in police custody for allegedly trying to decapitate her 11-year- old biological son. In a truely bizarre tale,the woman,Miss Joy Akule, had actually tried to ‘divide’ the boy into equal halves to share between her and her live-in-lover, Mr Thomas Kationa. Miss Akule, a resident of Sabuwar Abuja Quarters in Panshekara, Kumbotso Local Government Area of Kano State, was said to have used a knife to slash her son’s stomach to the extent of revealing his intestines. Kano State Police Commissioner, Alhaji Ibrahim Idris told journalists on Saturday that the woman, who hailed from Katsina Ala in Benue State, had confessed to the alleged crime. According to him, Miss Joy had told the police that she attempted to “share” the victim in order to cut off an old relationship with the father of the victim. The commissioner said that the boy had been taken to hospital were he is recuperating. Miss Joy later told journalists that she attempted to cut her son into two because of the misunderstanding between her and her live-in-lover. “We have been having misunderstanding and I wanted the relationship to come to an end,” she said. The commissioner had also spoken of the arrest of a fake police corporal, Shehu Garba who claimed to be serving at Birnin Kebbi and was on sick leave but was actually defrauding people in Kano. 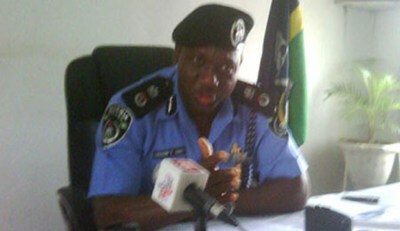 “He dishonestly collected a Jincheng motorcycle from an Okada man at a police check point and sold the same motorcycle to a suspect, Abdullahi Auwalu,” the commissioner said. He also disclosed that the same suspected police officer had committed similar offences in the past and two Jincheng motorcycles, police warrant card, personal emolument form, and a police loan processing form were recovered from him in the cause of investigation. Madam ur surpose to cal the king wch is the King HEAROD. Tu share the pikin 4 u nd ur husband wicked woman nd 4 the policeman he deserv Kiri Kiri jail.